Image is aware of the effect its activities and operations can have on the environment, and is committed to minimising this impact both directly and indirectly with our stakeholder partners. We have reviewed the impact our own business processes have on the environment and have considered our stakeholder requirements with regards to Environmental matters. 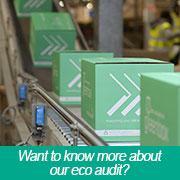 We operate an accredited Environmental Management System to help control and reduce our environmental impact. The scheme has been certified by QMS since 2010 and is regularly reviewed and audited, both internally and by external auditors, to maintain and improve environmental performance. This management system together with our accreditations, demonstrate our commitment to these standards, to our customers, suppliers and all our stakeholders.